Daniel Goleman is a famous science journalist, psychologist and author. Daniel wrote pieces on brain sciences and psychology for the New York Times for twelve years. Daniel has authored over ten books on leadership, psychology, crisis, science, education and ecological crisis. Daniel has also authored the New York Time’s Best Seller, Emotional Intelligence. Goleman’s works encourage readers, follower and fans to be more environmentally conscious and make sincere efforts to use as well as manufacture and produce more eco-friendly good and products. 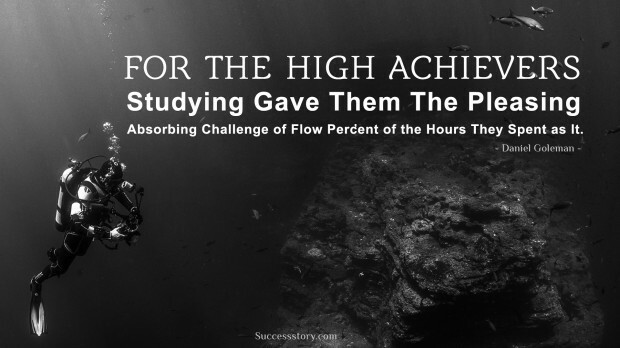 "For the high achievers, studying gave them the pleasing, absorbing challenge of flow percent of the hours they spent at it"